Hi, my name is Ruckus and I'm a variety streamer by night and automotive technician by day. I'm a married father of one sweet boy. When I'm not in the shop working on cars I'm streaming or spending time with my family. I enjoy my stream family as well and love going on game adventures with them. I'm on my way to becoming a master automotive technician and a twitch affiliate. I enjoy building cars and PCs. I like anything involving working with my hands to build something. I'm currently upgrading my 2005 Subaru Legacy GT which I will feature on my Youtube channel as a how to guide. I hope to achieve a dedicated community of fans who can join in with my on my game adventures. Horizon Zero Dawn, The Last of Us, Apex Legends, For Honor, and other RPGs in the future. Being able to interact with the broadcaster in near real time is my favorite part of being a viewer. Timthetatman is one of my favorites. I enjoy how real he is and his comedy. I've been watching Tim for about 2 years. Dr. Lupo, Ninja, CourageJD. I aspire to have a loyal following like they do one day! Report ResidentRuckus' profile for containing a lack of content. Report ResidentRuckus' profile for containing unsafe links. Report ResidentRuckus' profile for containing offensive content. Report ResidentRuckus' profile for containing formatting errors. Report ResidentRuckus' profile for containing invalid links. 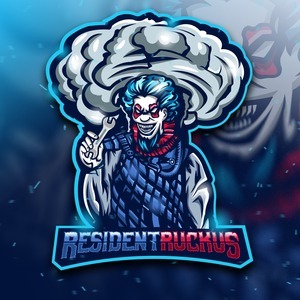 Report ResidentRuckus' profile for another issue.